I was writing about the tragedy of the commons in another article and I chuckled at the idea of picturing it as a horror movie. So I opened up the ye’ olde photoshop and made quick movie poster! SPOOOOOKY! Too bad it wasn’t Halloween. 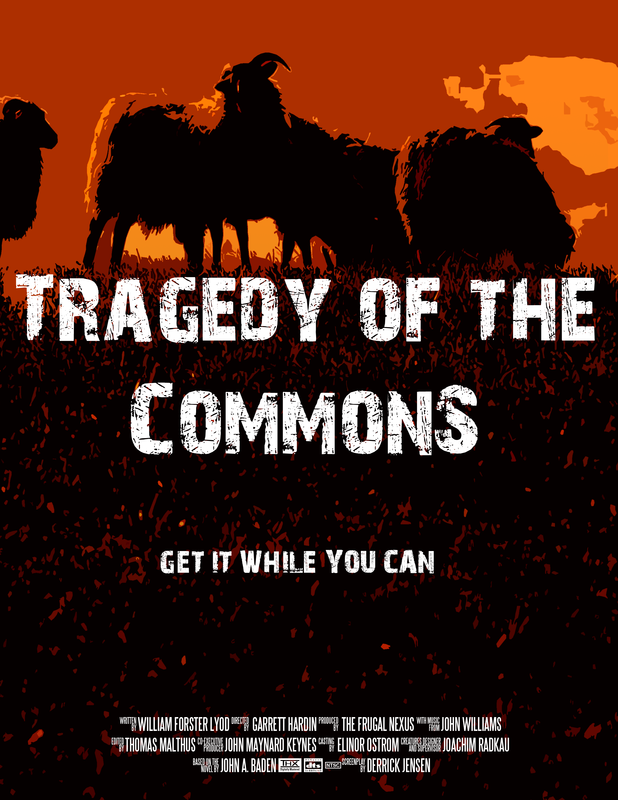 And, if you don’t know what the tragedy of the commons is, here’s quick definition: Tragedy of the commons is a metaphor to explain shared public resources. In the original thought, imagine a commons shared by farmers. One farmer can increase profits by increasing his usage of the commons, up until the commons gets so degraded that it drags down the offerings for everyone. Today, the idea is used in thinking about fishing stock, public parks, etc.